Betfair is a veteran in the world of online betting, so it makes sense that the company has launched a mobile application that gives members the opportunity to manage accounts on the go. Betfair has always been known for being “ahead of the curve” when technologically compared to other bookmakers. The platform is beautiful with access to exclusive offers, the ability to cash out when you’re ready, in-play betting, and price rush. There’s also a Betfair promo for new users. If you join through the app, simply bet 10 GBP and get 30 GBP back. This is a great way to quickly grow accustomed to the leagues, tournaments, and different sports betting opportunities that Betfair has to offer. There isn’t a lot of information on the specific mobile promotion. The promotion is mentioned on the mobile app page but not on the Betfair promotions page. There’s also no link to the terms and conditions. Nonetheless, the typical Betfair rules for free bet awards states that the bet must be used within 7 days and there are no complicated wagering requirements with smaller free bet offers like this. Information regarding the promotion becomes available after the app is downloaded. Once you have the app, you qualify for daily promotions offered at the mobile level. These promos include free bets, Acca multipliers, double odds, and much more. It’s imperative to pay attention to the promotions section of the mobile app to see what is available on that day. Daily offers are great tools for enhancing your winnings and your fun. As for the app platform, it’s very intuitive. As long as you have an internet connection, you can manage your account. You can travel to the other side of the world and place bets or cash out winnings. The app is convenient because you can constantly have control. It’s also a lot of fun. To receive the 30 GBP free bet, you must place an initial mobile bet from the app. Bets placed from your mobile phone browser won’t qualify for the free bet promotion. This initial bet must be valued at 10 GBP. Bets on Betfair typically settle within 72 hours, so that means you’ll see your free 30 GBP bet in your account within 72 hours of making your initial bet. 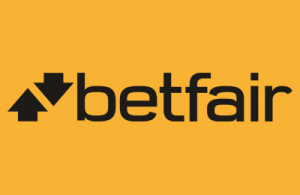 Betfair only applies free bets to accounts that make their deposits using a credit card, debit card, or PayPal. If you place two qualifying bets at once, the first bet to settle will be counted as the bet that qualifies for the 30 GBP bonus. Free bet offers are usually only available to players in the UK and Ireland. To take advantage of everything the app has to offer, there are some steps that you will need to take. The following is a step-by-step guide to make sure you properly download the app and receive the promotion. There is a link at the bottom of the Betfair website that says “Betfair Mobile.” Click the link to go to the screen that provides you with a button that you can click to download the iOS app in the App Store and a link to the Android download. The iOS app will download to your device after you click “Get.” You can then open it and register for an account if you haven’t already. The Android app will download to your device’s download folder. Click the app’s file in the downloads folder to open it and complete the installation. To receive the mobile bonus, you will have to make a deposit with your credit card, debit card, or PayPal account. Any other deposit method will result in forfeiture of the bonus. Deposit at least 10 GBP so you will have the minimum 10 GBP bet to make your qualifying sports bet. To activate the bonus, all you are required to do is make a 10 GBP bet. The bonus will be automatically applied to your account after the 10 GBP bet settles. It typically takes up to 72 hours for bets to settle on Betfair. The 30 GBP is a single free bet that you can use on a sporting event of your choice. If you win, you’ll be able to cash out your winnings. There are more promotions on Betfair for existing customers. One of the perks of the Betfair app is that you’ll be exposed to offers every single day. If the mobile app is anything like the desktop website, there is a little something for everyone. From Acca multipliers and double odds to free bets, you can check the promotions section daily to see what applies to you. Promotions mean free play and, if you win on free dollars, that’s free money. Promotions are great for enhancing your winnings and experience. Across the website, Betfair promotions require deposits to be made by credit card, debit card, or PayPal. Using any other payment method will forfeit any bonus money. When making a deposit with a credit card, debit card, or PayPal, the money will appear in your account instantly. When withdrawing funds from your mobile account, you will simply go to “My Account” and select the “Withdraw” button. You can then select the payment method you wish to process your withdrawal with. If you use credit or debit card, it can take up to 5 days to see the funds in your account. UK bank transfer can take up to three days. Australian bank transfer and non-UK bank transfers can take up to 5 days, but express bank transfer can take less than one working day. Other methods, such as Skrill, Neteller, PayPal, WebMoney, and QiWi take up to 24 hours. Reliable or Scam: How Safe is the Betfair App? Betfair, in business since 2000, touts the fact that they are a secure operator. Betfair is licensed by the UK Gambling Commission and the Malta Gaming Authority. To become licensed, strict requirements must be met, including safety measures to ensure individuals under 18 years of age don’t open an account. Gambling addiction resources and safeguards must also be in place. Betfair has a budget calculator on the site to help players manage money. There’s also a lot of useful advice and an account blocking tool to avoid spending more money on the site. You can stop for as long as you need to. The Betfair Diary is a fantastic tool that allows you to look at your daily spending and winning so you can see if you should stop for a while. When using Betfair, you want to have the Betfair app because it is full-featured and convenient to use. Everything is in the palm of your hand no matter where you are. As for the new mobile user promotion, it seems to be very simple. Place a bet of 10 GBP and get a free bet valued at 30 GBP. If you win from the free bet, you can withdraw your winnings with other cash in your account. Betfair does tend to keep things simple so you can take advantage of what is offered to you. The mobile app also gives you more daily promotions to take advantage of so you can get the most out of the Betfair website. How do I get the Betfair app? At the bottom of the Betfair website, click “Betfair Mobile.” You can then Access the Apple App Store to download the app to your mobile device. You can also search for Betfair directly in the store. If you are using an Android device, you can click the link on the webpage to download the app to your phone. Once downloaded to your Android device’s downloads folder, open the Betfair file to complete the installation. Do I need a Betfair promo code? No. You don’t need a promo code. To receive the 30 GBP free bet, make an initial mobile bet of 10 GBP. The bet will settle within 72 hours so your bonus bet will be automatically credited to your account. What payment methods must I use to qualify for the promotion? You must make your deposit with a credit card, debit card, or PayPal to qualify for the promotion. This is a rule that exists for all promotions on Betfair Sports.